The top islands in Southeast Asia each have their own allures and personalities. All are great for sunshine, but some are better than others for relaxation, parties, diving, and other activities. The good news is that you don't have to choose just one! Island hopping is a thing. But to get started, choose an island to start that best matches the aim of your trip. Looking for love? Better not to go to an island populated primarily by couples on romantic getaways. Looking for a place to read in peace? Don't opt for the handful of party places in Southeast Asia. With so many choices, you're guaranteed to find what you're looking for on an island vacation. 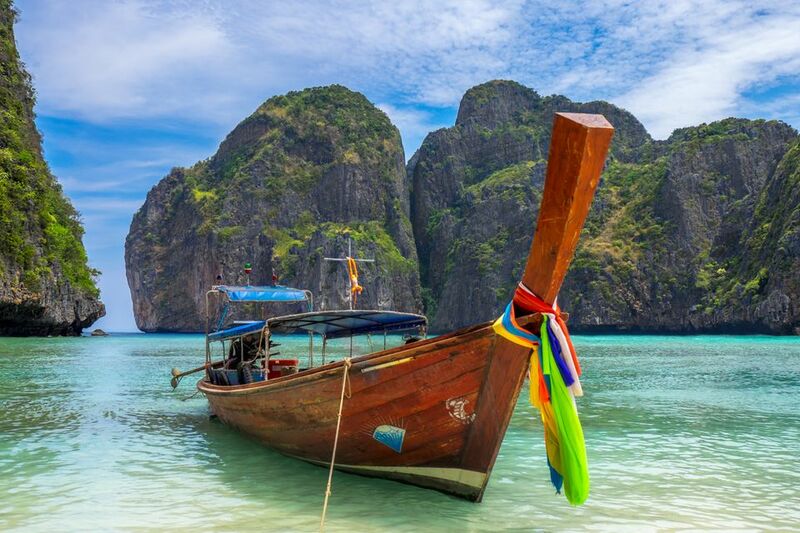 It should come as no surprise that the islands in Thailand make the top of the list. Not only are they easily accessible via Thailand's great tourism infrastructure, the Thai islands are diverse enough to please a wide range of travelers. From raging party scenes to quiet islands with part-time electricity, you'll find either as much action or as much peace and isolation as you can handle. Although Koh Phangan seems to get all the party attention because of the monthly Full Moon Parties, it's a big island! You'll find plenty of bays and beaches with more to offer than beats and bucket drinks. High Season: Between November and April, although the weather differs depending on the island. Koh Lanta mostly shuts down between June and November due to storms. With more than 7,000 islands making up the Philippine archipelago, you'll have plenty of choices both close to Manila and farther afield. A quick flight to Cebu City gives you a myriad of island options in the Visayas accessible via flight or the Philippines' busiest seaport. Negros Island is an often-overlooked option in the area. Philippine islands are typically volcanic, with lush, hilly interiors and many bays with beaches scattered around the edges. Although the beaches in the Visayas are very photogenic and many are practically undeveloped, don't always expect powdery sand; many beaches are made up of coral or rocks. Sadly, some are plagued with rubbish. High Season: Weather differs by the place. The peak of typhoon season is from June to September. Although Langkawi is Malaysia's undisputed island hotspot, there are plenty of other pleasant choices with pristine beaches and excellent diving. The two main Perhentian Islands are a solid part of the Banana Pancake Trail for backpackers. Perhentian Kecil is smaller and more popular for budget travelers and socializing. Perhentian Besar, the larger of the two, is a little more sophisticated and is home to quieter resorts. Duty-free Langkawi wins the award for most popular due to the accessibility. The quick flight from Kuala Lumpur to Langkawi regularly costs less than US $30! Tioman Island, closer to Singapore, is a duty-free island with both busy beaches and quiet bays. While Penang is a great place to visit, it's so large that you may not even realize you are on an island! Diving in the Perhentian Islands is very affordable and enjoyable. Tioman Island, although harder to reach, delights divers and people who prefer to snorkel. It's a place where you can rent snorkeling gear and walk out from the beach to see turtles and barracuda! When to Go: Peak season in the Perhentian Islands is between June and August. The islands practically close down during the winter months. For obvious reasons, Bali gets all the attention from visitors to Indonesia's more than 17,000 islands — but there are other pieces of paradise in the archipelago waiting to be enjoyed. The three famous Gili Islands in Lombok are a great choice for island hopping to find a balance between peace and socializing. Gili Trawangan is often a raging party while Gili Air, and especially Gili Meno, are more laid back. You'll find incredible diving throughout the Indonesian archipelago. Sumatra, the sixth largest island in the world, is the place to go for orangutans, volcanoes, and jungle adventure. If Bali gets too busy and there isn't time for the Gili Islands, you can always grab a quick ferry over to nearby Nusa Lembongan where less crowds and snorkeling with giant mantas await. When to Go: The summer months are usually busiest but have the best weather. Yes, Singapore is a city, island, and country all at the same time! While notorious for being pricier than its Southeast Asian neighbors, Singapore is a unique, world-class destination for many reasons. Singapore may not be the first choice for clean beaches or solitude, but you will find an amazing number of things to do. And don't make the popular mistake of assuming Singapore is an urban, concrete jungle famous only for shopping — Singapore enjoys an abundance of green space and bike trails for its size. When to Go: The weather in Singapore is fairly consistent; afternoon thunderstorms are common throughout the year. November to January is often the wettest period; February is often the driest month. Many visitors to Malaysia forget that Borneo, the third largest island in the world, is only a quick, cheap flight away from Kuala Lumpur. Malaysia shares the island of Borneo with Indonesia and Brunei. It's a nature-lover's dream come true. There you'll find endangered species, national parks, trails with waterfalls, exotic indigenous culture, green rainforests, and some of the best diving in the world. When to Go: Borneo is hot and rainy throughout the year, but the two Malaysian states have slightly different climates. June, July, and August are the best months to visit Kuching (Sarawak). Kota Kinabalu (Sabah) is driest in February, March, and April.